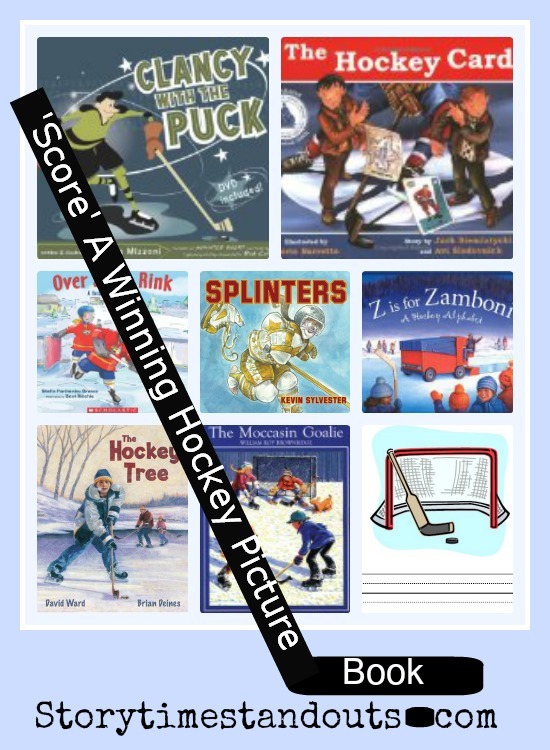 These Ice Hockey Theme Books for Kids are Sure Winners! OH! The good ol’ Hockey game, is the best game you can name. And the best game you can name, is the good ol’ Hockey game. An outdoor game of pick up hockey is the setting for this fun, energetic tribute to Stompin’ Tom Connors’ widely known anthem. The well-lit rink is in a city and it glistens beneath the stars on a wintry evening. It feels as though it would be the centerpiece of a community, drawing players from far and wide for a casual, drop in game. Engaging illustrations show us the game from ice level and above, depicting players from various races who are young and old, petite and burly and male and female. It is fun to see more than one multi-generational family group; moms and dads enjoying the game with their children. The game begins with just two players on the ice but soon swells and, by the end of the song, the rink is crowded with enthusiastic hockey players. Some wear familiar NHL-style jerseys while others are dressed less traditionally. Some wear hockey helmets and others have toques, headphones, pony tales and stocking caps. Young readers will enjoy playing eye spy and noticing all sorts of interesting details about the dozens of players who finish the game. Very good fun for children aged four and up. 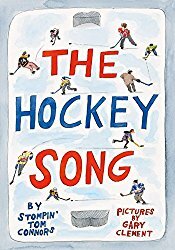 The Hockey Song would be a great gift for a hockey-loving grandparent to share with a newcomer to the game. Those of you who visit our website regularly will know that I am a mother to two teenage boys and that one of my sons is a hockey player. Very often friends will comment about the challenges of encouraging teenage boys to read. We’ve been fortunate with our boys, they both enjoy reading and are good readers. Unfortunately, for some kids, it is not so easy. I often wonder if some reluctant readers simply have not found a book that matches their interests. 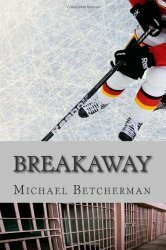 Last month, while on holiday, I had an opportunity to read Michael Betcherman’s first mystery novel: Breakaway . 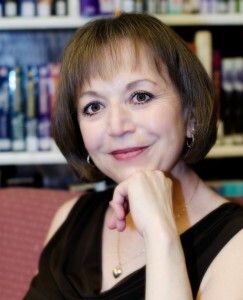 It was a finalist for the 2013 John Spray Mystery Award. Set in the Lower Mainland of British Columbia, Breakaway tells the story of a 16 year old Midget hockey player whose father is wrongly convicted of murder. Nick Macklin’s dad (a former professional hockey player) has been convicted for killing another former NHL player who once viciously cross-checked him in the head. and ended his playing career. Nick is devastated by his father’s conviction and is determined to uncover the truth but it is not an easy job. 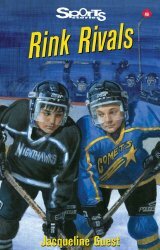 Nick’s anger and disappointment with his dad’s conviction results in problems at school, the loss of good friends and his involvement with minor hockey. He remembered something his mother once told him. “Tragedy is part of life. It’s going to happen whether you like it or not. The trick in life is get as much joy as you can.” As long as dad was in jail, tragedy would be part of his life. Bit by bit, as time passes, Nick begins to recover from the shock of his dad’s conviction. He starts to focus more on his schoolwork, he becomes more social and he resumes playing hockey but his obsession with investigating the crime and finding the murderer does not falter. Young adults, especially those who play hockey will enjoy Breakaway’s hockey theme. The book references NHL, WHL and minor hockey teams, rinks and the dynamics of playing a sport at high level. At the heart, this is a story of loyalty and determination as Nick Macklin remains steadfast in his determination to uncover the truth. Recommended for youth aged 14 and up. Note: This book has been published with two different covers. 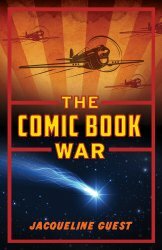 The cover shown above is the American cover. This photo features the Canadian cover (adjacent to a rather nice pool). Michael Betcherman is an award-winning author and screenwriter. He has numerous writing credits in both dramatic and documentary television, including several episodes of the popular CBC drama, Street Legal. 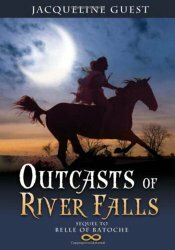 He is also the author/creator of The Daughters of Freya and Suzanne, two groundbreaking online novels that were highly praised by numerous publications, including The Globe and Mail and The (U.K.) Guardian. 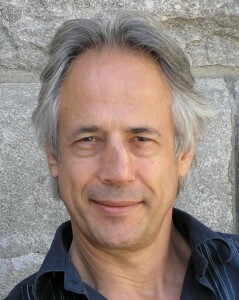 Michael has written two young adult mystery novels, Breakaway and Face-Off, both published by Penguin Canada. Breakaway was short-listed for the John Spray Mystery Award. Tell us about your latest published book. Who do you think should read it? What are you most proud of? 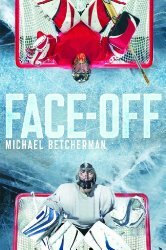 My latest book is Face-Off, a Young Adult mystery published this February. 17 year-old Alex Petrovic came to Canada with his mother when he was an infant, after his father was murdered during a civil war in their home country in Eastern Europe. He is playing goal for Team B.C. in an international hockey tournament against a team from the old country. After the game, he shakes hands with the opposing goalie, Stefan Divac, and finds himself staring at his identical double. His heart tells him Stefan is his brother but his brain tells him that can’t be – until his mother sees Stefan, and faints dead away. Stefan had been with the boys’ father when he was murdered, and all these years Alex’s mother believed he was dead as well. Only now does she find out that he was rescued and raised by another family. All his life, Alex has felt a part of him was missing, and when Stefan comes to live with him and his mother in Vancouver in order to pursue his hockey career, it seems like a fairy tale come true – until sibling rivalry rears its ugly head. When Stefan proves to be a better goalie than Alex, Alex’s life goes off the rails. As Alex struggles with his personal demons, he and his brother get caught up in a mystery involving the two war criminals from their home country who were responsible for tearing their family apart. I think the book has wide appeal. Although the background is hockey, readers don’t have to be hockey fans to enjoy it. There’s a very strong female character, Lara, who is Alex’s love interest, and a competitive kick boxer who plays a major role in the mystery. She is feisty and fearless and funny, and reminds me of my daughter. She’s probably the character I’d most want to hang out with. 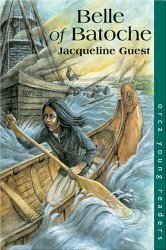 I was extraordinarily lucky with my first YA novel, Breakaway. Everything came together relatively easily – if one discounts the time and effort it took to actually write the book, and the years I spent honing my craft. Once the book was finished, I decided to look for an agent. That can be difficult these days – many agents aren’t accepting new clients – but the first agent I contacted agreed to represent me. She sent the book to five of the top publishers in Canada and a couple of months later Penguin offered me a two-book deal. I still have to pinch myself to make sure I’m not dreaming. Number two: Write about something that touches you, something you care about. Our emotions are what make us unique. If you write about something you feel strongly about, you will write something that’s powerful and that will move your audience. Number three: Don’t give up. Don’t give up. Don’t give up. I wish I’d learned that lesson a lot earlier in life. I work at home most of the time but that can get isolating, so I often go to a neighbourhood cafe for a couple of hours in the afternoon for a change of scenery – and to reassure myself that I’m not alone in the universe. In either place I alternate between staring off into space and tapping away on my laptop. Fortunately, as my writing process has evolved, I’m increasingly doing more of the latter than the former. Everybody has to find the process that works best for them. Basically what I try to do is get the first draft out as quickly as possible, and then trust the creative process, trust that my imagination will find solutions for the problems that inevitably arise. When I first started writing, I tried to have the whole story worked out before I started in on the actual manuscript. That’s probably because I’m a bit of a control freak. But it didn’t take long to realize that didn’t work. Everything would inevitably change once I started writing the manuscript which meant that I was wasting a lot of time trying to work things out in advance. The main reason was that my characters hadn’t taken shape yet. Writers often say that at some point their characters take over, as if they were real individuals with wills of their own. I wouldn’t put it this way but what does happen, or at least what happens for me, is that as soon as I put my characters in a specific situation, it gives my imagination something concrete to think about, and I come up with all sorts of possibilities that I could never come up with when I was thinking about the story more abstractly. Tell us about your experiences sharing your book with teens. Has anything unusual / endearing / funny / unexpected happened? This may sound strange, but I think one of the biggest challenges is to write a compelling synopsis for your book. You may have written the greatest book in the world but an agent or a publisher won’t even read it unless they’re captivated by the synopsis. It’s an incredibly difficult thing to write. You have to distill your manuscript into a few short paragraphs that convey the plot, the main characters, the conflicts and the themes. I spent eight hours working on a ten-sentence synopsis for Breakaway. It was the most useful eight hours I ever spent. The agent I sent it to got right back to me, said she found the synopsis intriguing and that she had put my manuscript at the top of her reading pile. I always wanted to be a writer, but I came to it rather circuitously. I started out my working career as an entertainment lawyer and eventually became a consultant to the CBC series, Street Legal. Through that connection, I got the opportunity to write an episode of the show. The producer liked it, and hired me to several more, which gave me the encouragement I needed to give up law and write full-time. I spent many years writing for television. I also wrote a couple of screenplays and two online novels. I had never thought about writing for young adults, but one day a few years ago I woke up with the idea that became Breakaway – a story about a boy whose father has been wrongly convicted of murder. I sat down and wrote 15 pages in less than an hour, something that had never happened to me before but which told me I was onto a good thing. I love writing for this age group. It’s not about flowery language or description which I’ve never been keen on, it’s about telling a good story about characters people will care about. I enjoy doing presentations at schools. I like to talk about writing, and the writing process, based on my personal experience, so the best fit for me is a senior grade (11 or 12) writing class where the students are interested in becoming writers. I live in Toronto (Canada), so that’s the most convenient locale but would be prepared to go elsewhere. 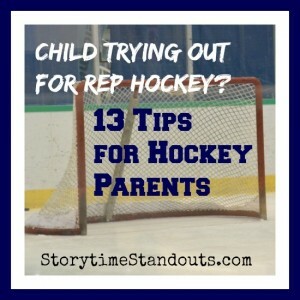 Believe in your child and his/her ability to go through the rep hockey tryout process, accept the coaches’ decisions and keep working to improve (whether he/she makes the team or not). Your steadfast confidence in his/her resiliency will make a difference. Will yourself to remain outwardly positive throughout the process. Notice your child’s effort, a great pass, his/her ability to do crossovers. You do not need to critique his/her tryout. Your job is to be a support team for your child. The player who excels in Atom is not necessarily the player who will excel in Midget. Whether your child makes Atom A1 team or not, believe it. It is true and the same applies to PeeWee. The success a child enjoys initially may be fleeting and the disappointed child may one day be a 6’2″ star. Keep in mind that the tryout process is stressful for the players, the parents and the coaches. No one likes to tell a nervous, possibly tearful ten-year-old that he won’t be on the team. No one likes to face the stares of annoyed parents. Encourage your child to understand this is difficult for everyone. Check and double check your child’s hockey bag and make sure that everything that should be in there, is. Don’t let missing garments or equipment add to an already stressful situation. ‘Released’ players can be called back up and players who think they have ‘made the team’ can be released. Don’t assume anything, just encourage your child to continue doing his/her best. Playing on an A2 or A3 team or going to ‘House’ is not necessarily a bad thing. Unless equal playing time is mandated, a third line player on the A1 team can see much less ice time than a first line player on an A2 team. Be careful what you wish for. It is great to ‘make’ an A1 team but often there is more ‘drama’ on A1 teams and frequently the demands in terms of expense, travel and time commitment are much greater on an A1 team. On more than one occasion we have encountered situations where parents were thrilled to have their son/daughter make the A1 team and later wished he/she hadn’t. Allow plenty of time for traffic and getting into gear. Remind your child, never be the last one onto the ice or the first one off. Avoid leaning on the boards. Remember that your child is having an opportunity to tryout because of a huge team of dedicated volunteers. Be sure to take time to thank the folks who make minor hockey happen in your community. They are probably living at the rink during tryouts. After reading my Tips for Hockey Parents, it may not surprise you to know, the first year of ‘rep’ hockey, my son played on an Atom A3 team. In his second year, he made it to the Atom A2 team. First year PeeWee, he made the A3 team and first year Bantam, he made the A2 team. 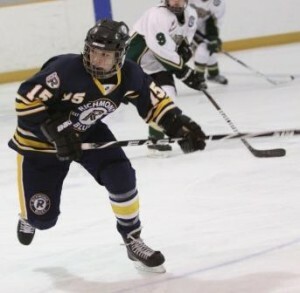 Last season, he was a first year Midget player and he played on the Midget A1 team. He is determined, he has never given up and he works every day to become a better hockey player. My husband and I believe in him and we believe that all of his hard work and determination will be rewarded. When a new adult moves into his neighborhood, Tony Dunphy has an opportunity to learn hockey skills from him. When the neighbor tells Tony’s mom about a used hockey equipment store, Tony is very excited to get hockey equipment and join the Bayfield Blazers Hockey Team partway through the season. Unfortunately, it is not long until Berk, the team bully notices Tony’s well-worn gear and chooses Tony as his victim. Berk is relentless with his verbal and physical abuse of Tony. He calls him ‘Tony Baloney’ and makes life miserable on the ice and in the dressing room. Tony is the only player excluded from the team chant. When the two boys become linemates, Tony is frustrated when Berk won’t pass to him. The Bayfield Blazers’ coach is aware that his team is not getting along well. He knows that some of his players need to learn about good sportsmanship so he arranges for a NHL player so visit the team. Tony is shocked when his neighbor is introduced. He has no idea that his neighbour is former NHL player, Bob MacMillan. With a message that ‘Success is about more than winning. Good sports are winners,” Bobby encourages the entire team to make better choices. 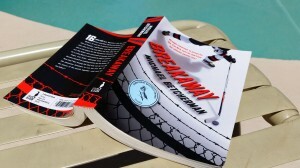 How to Outplay a Bully is a fun read for young hockey players. Having said that, I am concerned that How to Outplay a Bully relies on a ‘magical solution’ to solve the problem of bullying. Rather than have Tony seek and obtain help from an adult (his mom or his coach) or his teammates (the ‘bystanders”), he is essentially forced to cope with the bullying throughout half a season of hockey. The problem is really only resolved when the Bully discovers that Tony has a friend who used to play in the NHL. In my opinion, this story will be a pleasant diversion for a young hockey player but it will not help a youngster dealing with a bully. These days we are racing to meet all of my youngest son’s sports commitments. He is playing on the high school basketball team and he also plays “rep” hockey. This year the regular season and his hockey team’s Christmas tournament “collide.” He has ten different hockey commitments between now and next Tuesday – and has turned down the opportunity to ref this week (thank goodness). 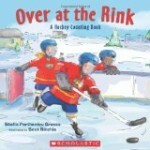 Hockey is definitely his first love and, over the years, we have enjoyed several picture books about hockey together. He’s well past picture books now but I’m not. In light of the busy week ahead, I thought I would take a moment to write about David Ward’s The Hockey Tree. This is a favourite wintertime picture book that beautifully captures a Canadian winter day. Set in Saskatchewan, Owen and Holly are excited because Humboldt Lake has finally frozen over and it is a perfect morning for a spirited game of pond hockey. The two children are excited to drive to the lake with their dad and before long their skates are laced and the three are laughing and playing together. Unfortunately, just as the family starts to talk about taking a break and enjoying a mug of steaming hot chocolate, Holly smacks at the puck and it flies across the frozen lake and into an ice fishing hole.